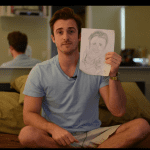 Get The Guy / Matthew Hussey's Dating Advice Blog / Does Life Get Any Easier? Here’s a quick video on the hardships of life, why you need to find what you love, stick it out and keep going. We can take this one of two ways; to be either depressing or empowering. One of the great myths of our society is that things get easier. But life doesn’t work like that! It’s not that simple. I see my job as a coach not as helping make people’s lives easier, but helping people graduate from doing hard things they hate, to doing hard things they really enjoy. For me, running GetTheGuy is no easier than it was 5 years ago. More opportunity can mean more work, but I enjoy it more, and that’s the difference. It’s to find something you love doing – a torture you can endure, and something that energises you. With that said, sometimes you’ll be doing something hard that you don’t find fun, but just because it’s not ‘fun’, doesn’t mean it can’t be fulfilling. As another personal example, I love boxing – not because while I’m doing it I’m having so much ‘fun’ – but because at the end of it I feel amazing and I get excited about going the next day. Find a form of ‘torture’ you can enjoy. Find something that can become part of your DNA and give it everything you’ve got. Don’t stop because it’s hard work or because it’s not paying off right now. Keep doing it because you know it’s something that drives you at your core. You’ll have noticed by now that GetTheGuy is bigger than just love life and dating advice. It’s about creating a life you love. As the perfect compliment to videos I’m putting out here every week, if you want cutting-edge strategies for attracting a man, building chemistry and getting a guy to commit, check out my online program The Man Myth and take back control now. 97 Responses to Does Life Get Any Easier? I have a question for you, I hope you read this comment and reply A-SAP. I am 27 and I still do not know what I want to be in life, who I am, what I like and so on. I have been searching, looking for the answer, I have been asking myself, writing things down on paper, looked in the mirror, I have read every piece of advice, I have asked people close to me, family, friends, even people I barely know for advice, for anything… but still, I have not found my way. Sorry for talking pointlessly so much. Is there a cure or am I just going to feel frustrated for life? I love Matthew’s realism! It gives me hope because it’s the way things can actually happen. So many people are stuck in thinking things should be other than how they are, and I think that’s the biggest source of unhappiness. That makes this point of view one of the only sources of real happiness. I greatly appreciate this. I am an optimist and believe in living life to its fullest, but my ex husband continually tries to make my life harder. I learn and grow from the experience and try to triumph. I believe God gives trials in order to learn, but I have had massive trials that almost killed my heart and soul this last year. I recently asked myself, “How much more pain must I endure?” But, I realized that in giving 1000% to all I die, I put myself at risk to be hurt more by others. I know that I am living, if I am hurting. Thanks for the reminder! Oh my god, this is why I’m not getting anywhere. I keep thinking, it’ll get easier from here, it’ll get easier from here and then when it doesn’t, I’m like, it’s not working…And then I feel like I haven’t moved an inch even if I made decent progress. But wow, this is kind of scary. But I’m glad I heard it because now I can push through this. That video is exactly what I needed today. There will be some changes in my job that scared me a little bit. I really love my job and it wasn’t easy before and it won’t be easy in the future, but I still gonna like it. Thats what I thought after watching your video. Now I feel a little better, thanks for your motivation, it’s always very interesting watching your videos. First off, I think your brilliant! My social and love life has taken such a turn since I first signed on to your blog. I am getting more an more men interested in me. However, now I have a question that you have never addressed. Once you reach that point in the relationship when you realize this guy isn’t a fit for me, how do you let him down in a way that respects both him and yourself? Preferably with the least amount of awkwardness? Would love if you could comment on this one! Again, Love you, I think your great! Hi Matt, as always: brilliant, inspiring and everything I needed to hear – THANK YOU SO MUCH!! I’m going to take the liberty here to change the subject and ask a question: would you be able to make a blog post giving some ideas on how to ‘get the guy’ in a work environment?… I’ve read your book, watched the videos and am still struggling to come up with things to say and do to ‘get this guy’ I like from work. We work in different locations but we participate in the same meeting once a week… Please please help me???! And I totally agree with your message today. I am currently in a career I love, but it is HARD, always learning each day. But as I said I LOVE it. Seeing this video is believing…. YOU!!! :) Take care. Matt, I loved this video!! I think the culture reinforces the idea that if we are not happy 24/7 then something is wrong with us. I am reminded of your post about facebook and how easy it is to “compare our insides to someone’s outsides” — they look like they are happier, bigger, better, but focusing on comparing just gets us off track with ourselves. If, each day, I take steps toward my goals, I do the work, I will be much more satisfied than if I just sit around trying to better my mood. There is great satisfaction to be gained by hard work, even when it is not particularly fun. I think love life and job life shouldn’t be on the same boat. You can success through the career if you try hard. BUT love life doesn’t work that way because this is the only thing you cannot do it on your own. You need another one. Moreover, some people just cannot get any, no matter how much they try – you know why? Because they are not one of the MOST women! And they don’t want one of the MOST men. This reminds me of something I heard once: pain is unavoidable, but suffering is optional. Statements like that and like Jerry Seinfield’s really work to give you the control in your life; bad things are going to happen, life gets hard — but you always have the capacity to do the hard work of enjoying it. That’s so special a message. I think you’d really like a poem by Ellen Bass, titled “Relax.” You two seem to be on the same page. 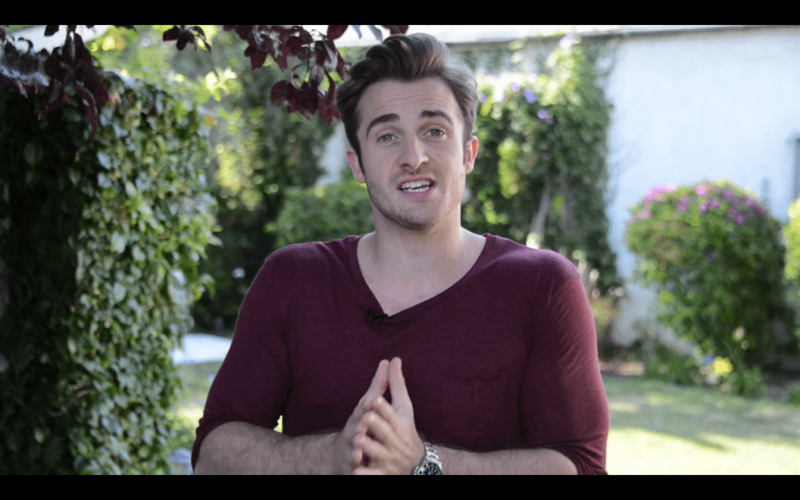 Thanks matt, for another great video…about life, and not just about love! Many people think that having a guy its gonna make everything ok….and its not! we must work everyday to be happy, to fight for our dreams, to smile even you dont have anything to be happy for, but will give you strenght to work it out! :) sorry about my english, hope i will improve this too! P.S- thanks Jameson, for ur humor, u made me laugh! Just got home from a 2hour drive and decided to check my email, to find a topic I had just talk about with my mom on a long trip,which reminds me of something someone once told me. You don’t ask GOD to take your problems away you ask for straight to care on through your problems or struggles . When things are easy we don’t gain experience and we don’t learn to appreciate our accomplishments. Thank you for the passion and quirky humor you bring to these videos. It’s a funny thing; today’s message reminded me of what I learned about in college regarding learning a language. It’s the idea of comprehensible input: when acquiring a second language, you need to be working at your level, plus a but beyond (i+1) because it’s at that point that your command of the language expands. So it is with life: we do our true growing and expanding when we’re working just beyond what’s comfortable, a ‘torture sweet spot’, if you will. I think the frustration comes from when we find ourselves in situations that feel neither fulfilling nor expansive. Perhaps when we’re asking whether things will get easier, what we’re really wondering is if in the struggling and stretching, we’ll find fulfillment, which is something we uniquely create for ourselves. Karina , I love the phrase, “torture sweet spot”! — stretching us beyond our comfort zone, but something that is still doable. Thanks for another video. So, I work in marketing at an interior design firm. It is torture and not what I love to do but for now, it is helping me to do what I really want to do which is fashion design. It is hard to make a living on just designing since I’m at ground level so I am working this other job full time to pay the bills, and it helps fund my art studio and items for making clothing. So for now, it is torture, but I am learning through it regardless. What I want to do full time and what I love is fashion and designing and I make time for it by going to my studio before work in the mornings most days of the working week. But my question to you is then what if it isn’t possible to just do what you love and want to do? Like in my situation I’m not able to just choose that and do that full time because where I am at with it would not provide enough income for me to live–pay rent, etc. So, I am pursuing, but in the time I have even though I am at a job I’m not fond of but provides that income to do what I love until it progresses. So, what do you say to that, for those who are in these types of situations? Advice?! you continue to inspire me! now let me see your 6 pack abs!!!!!!!! Great video! Torture one can endure, that drives you, part of you… Inspiring words I’ll post on my office wall to keep me writing, loving, and carrying on. – Thank you! You are so right. Without torture we cannot grow. Anything worth fighting for will necessarily encounter obstacles. Always enjoy your videos! I enjoyed the video Matt, thank you! I needed that right about now as sometimes I fall into a rut with work but you are completely right, the torture now is meaningful and important for improving and reaching one’s full potential. P.S. we all wanted to see your 6 pack abs, haha! life depends on the way you thinking . if you see life is hard , then every thing even the easiest things is going to be hard . but if you see life is easy then every thing in your life is going to be easy . even if you face hard times you will find the easiest way to make it easy and you will enjoy . what i’m trying to say is your life depends on the way you thinking , so be careful of what you thinking . THANK YOU HERO FO THIS LESSON . Aww :”-), my inspiration, you fill me up with Joy when you talk with great passion. To me, tourture is routine because I find it hard to stick to routine for so long with out going off track. My resistance training can be hard work, plus my maths and english studies drain my brain to the point of being tediouse. I’m coming to the point of realizing that if I don’t stick to things then I’ll never amount to my full potential. Life can’t be fun all the Times and for sure, routine can be boring for everyone. Defently the best form of torture is in sexual content. To prolonge sexual gratifacation can get to a point were you think I can’t take anymore of this and then the pay of is so mind blowing and intense. It would be the easiest thing to not put the effort into reaching that point but talking from experience it doesn’t half compare to full body satisfaction. Case in point I think that should apply to every area in life, not just the good. Wonderful video! Keep them coming – loved the plane and jameson too! Matt, YOU MADE MY DAY WOOHOO! I love the positive attitude and it is true! Sometimes things happen and we have the power to respond to these situations in a confident & positive way :) Sometimes, challenges and struggles are exactly what we need in our lives so we can build our character,skills and strength! Thanks for always being SO awesome and for doing these amazing, fun & refreshing videos! Really enjoyed this video! Time to lower some too high set standards and out and find a torture that I love to endure! I am probably in one of the worst places I have been mentally at the moment. I was always the girl with a plan and a back up plan and so on. I was doing sales and everything was sooooo demanding but I was good at it because and this might sound silly for a sales person ” I liked talking to people and never forgot that they were people not things, so was good a finding the right solution or the person”. I took a job that was not perfect but “I believed” had the possibility to provide me with very good sales experience. I was was so wrong, 6 weeks in the job role and contracts changed for everyone and my manager was stealing deals from me. In addition to this she let everyone believe I had slept with someone at work, she did so much things to me and I do think some of it came down to jealousy. A few years ago this would not have been a problem to the same extent it is now. My relationship of 10 years came to an end almost 2 years ago “this was my first love” I found I had lost my best friend, family and lover in losing him. I have dated but no one has been right for me “I was 17 when I fell in love” All the the things I was working for were for us and it was the same for him. Part of me thinks if someone can be so right for you and you can love each other the way we have and it can still not work when will it ever be right. I have not dated anyone since last year and I don’t know if I can….. attracting men is not the problem but i’m petrified of everything to do with caring right now. I don’t have a plan anymore and for the first time my life feels like chaos. I ran my life of hopes and dreams and now I cant seem to. I know I am a good person because I worked to be one but I feel like sometimes the bad things happen to good people and it makes me sad at world in general. I am not just disappointing in my life, I think i’m broken. This is as honest as I want to be right now. p.s trust me Matt your a normal guy and there are not too many out there. Honest, direct, fun… I enjoy these videos. Pleasing 100 women at the same time ain’t easy!! hahaha! Reading all these comments has been so amazing. It really feels like we have a little community here doesn’t it? Feels like we are all a team in it together. I love putting these videos out there for all of you each week because the feedback I get in return is so rewarding. I love that you really think about the issues, and respond to me with such generosity, whether it’s simply to say thankyou or to tell me your thoughts in return. My focus right now is on providing as much value to you as possible, and I feel really privileged to have a group of people who appreciate what I create. Thanks for being here. Thanks for commenting. And thanks for allowing me into your lives. Keep up the great work Matt! I love your enthusiasm and dedication. I agree with you 100% We are often told, “find a career/job you love and you’ll never have to work another day in your life.” In these tough economic times, this may not be possible for a lot of people. My brother in law studied architecture at one of the best schools for architecture. After he graduated, he couldn’t find a job, but he had a special needs child and a wife who worked full time to get him through school that needed his help, so he got a completely different job. I’m sure he would much rather be creating and designing. However, this is what he can do at this time, and he can either embrace it or be miserable. This approach, where we acknowledge stress is a part of any job, and move past it, is a more realistic approach i think (than waiting for the perfect job/career/moment). Really needed this today. I am studying for my professional certification and it is so hard! I’m tired of it and tired of my job at this point and all I want to do is sleep and watch Dr. Who. But I enjoy my job and it is taking me where I want to go, and so is this certification. So it being hard shouldn’t matter. I just needed to be reminded of that. While I do believe in heaven, I think the meaning is straight on. There is no goal you are going to achieve in life that will make your life perfect and easy. But what matters is the dreams and ambitions we strive for along the way. I just wanna say THANK YOU ,this video opened up a new way of thinking in my mind. Love the camera work in the video! My marriage was torture, so I quit my marriage and decided to pursue a better torture instead – called flying airplanes and law school. It’s the end of the world! OH MY GOD! I traded my “husband” for the things I love…. Um… uh oh? Oh no. I would have gone mental in the relationship because I’m really judge-mental and I love the LaW. Why isn’t there a delete option on your blog ?? Hey Sydney, which part would you like us to delete? We’ll happily take it down for you. I love your videos Matt, your enthusiasm and especially when you rant. It i especially inspiring as I tend to have moments like that too! Another Sunday, another video. They have been so good lately, focusing on making our whole lives better not just our potential love lives. Sometimes we are just not at a place to make that our sole focus anyway. My torture is very much like yours. My ballet workouts are not fun and are so hard when in the middle of one, but they make me feel amazing and I look forward to each time. It also sounds very odd but I am so in tune with my little disabled boy, it helps me to remember I am actually able bodied and want to keep healthy and fit to care for him. (Can’t believe I wrote that). Thank you for all the work you put into these videos, they are so appreciated. Even if my comments are ridiculous, I do go away and think about each topic. Your energy is infectious and your compassionate nature really comes across. You match the bush in the video, nice touch! Your comments are perfectly valid and I love how honest you are here. Keep coming back and inspiring other people with that same honesty! This video makes me want to PUNCH you. Sorry, not to be threatening or anything. I love that you show your faith in this video. Very cool and appreciated. I was raised to believe that happiness is a choice, and joy comes from God. Just a thought. It can be torturous along the journey, God never said it would be easy, but that he would walk through every circumstance with his people. Thanks for your insights. Happiness is ABSOLUTELY a choice Kelly. Too many people get to the end of their lives and feel regret because they realise they decided not to be happy for so much of it. A year ago I left Spain and moved to England to study law. I wasn’t sure I was doing the right thing and sometimes things would get awfully complicated and people would tell me to give up, but I didn’t want to. People couldn’t understand why I was willing to stay there, having a horribly hard time and going through hell. The thing is that I love what I do, and I have a goals, I know that when I reach them, things won’t be any easier (Human Rights are never gonna be easy) but I enjoy the pain and, even knowing this, I wouldn’t change what I have now for anything in the world. I think that videos like this one are extremely helpful because sometimes we all need a dose of reality without sugar-coating it. As my teache3r once said: Life doesn’t get easier, you just get tougher. The philosopher Gurdjieff made people work at a thankless task hour after hour in order the strengthen the “will” It is by pushing ourselves through these tortures that we build our strength. Confidence is built brick by brick. I know, I have built a wall. It has taken years. Life seems easier now. I meet my challenges with inner strength turning obstacles into opportunities. Perhaps for some of us life can become easier depending on the meaning we give to the events that take place in our lives. Love your Philosophy on life. Thanks Matt you’re a great guy. “Pleasing 100 women in a room at the same time!” That should be your new slogan! ;) haha! – if I’m living my torture, being proactive, and believing that I’m of value, then when some guy doesn’t call or I don’t get a second date, it’s not such a big deal… Next! – lastly, no matter what, I’m seeing it’s not about the guy. It’s about me, and what kind of love affair I’m having with myself. Besides, I’m more likely to laugh at my own jokes and have the same taste in movies, right?? Matthew, I’m just at the beginning of this journey, and you’ve been incredibly helpful. I love that your work isn’t all about the guy because I’ve used “the guy” to run from myself. I’m putting all your techniques and mindsets to work in my life, little by little, and things are changing. It’s hard not to be lazy. But it’s worth it because I think that your stuff works, and I’m a lot happier to work when I know it’s going to work, than what I’ve been doing all these years: working my a** off and getting no results. Thanks for making it about life, as well as love. Keep up the torture!! As always Matt… PREACH IT! I work in Film and Television and it is torture I am comfortable I am with. Believe me it is a horrendous industry but I love it. I love Boxing and even more so Martial Arts. And again, I completely agree with you… Torture that I am comfortable with because it is fulfilling. Matt when you are right you are SO right. Thank you for the thoughts! Have a great week. Although the video is absolutely right, it must be noted that sometimes finding the work you love is a difficult process. I have struggled gravely in this area. Trurthfully, this is one the worst times of my life because as an amazing high value woman with great potential, I have not found what I love to do. I am in limbo. I think a lot of us are trying to deal with torture of improving ourselves, but we are enjoying the results. I have done a lot of really challenging things in my professional life. Looking at my confidence, communication, and perception issues as I read your book has truly been one of the hardest things I have ever done. Looking at my perceptions and behaviors to see where I need significant improvement, them making the changes has been a form of torture. As I make my way through your book and I implement then things you say I feel good about it! its very hard to overcome somethings, but like you say at least we are doing something about it. I think your advice is helping us in a lot of areas in our life, not to just get the guy. Thank you so much for your help you just dont know how much you were needed. Thanks Matthew for ur weekly videos! Appreciate it very much as ur videos set me thinking about my life every wk. Thank you for posting this video. It could not have come at a better time. I needed to hear this. After watching this video, I really feel like giving you a hug! So that you can pass some of your positive and engergising vibe to me. You are someone with overwhelming passion in what you do. Money without meaning can’t be fulfilling. I have been so sad during these couple of weeks. I’ve done something that makes me so guilty and I kept blaming myself. I have been crying and crying. Life is hard now…but I know I’ll get through it. .. I really appreciate your regular videos and the depth of your messages. thanks for reminding me that life will not get easier. I really mean it because I have sometimes been tempted to believe “when I have overcome this and that, life will be easier”, but meanwhile I have come to understand that problems will always be part of life,and they help me grow. I have found one torture that I thoroughly enjoy: stair climbing.When I started out, I had a hard time climbing two floors up, and after a little practice I was able to walk up to the 10th floor in 7 minutes. Fortunately I live in a town with a lot of public, old and historic staircases that are amazingly long. Sometimes it is not easy when the weather is hot, and I need more water. Sometimes I am amused when I ask people about more stairs and they think I want to know how to avoid the next staircase and say “well, you don’t have to do this to yourself – you can walk this way instead”, and I smile cheerfully and I say “But I WANT STAIRS”. And when I reach the top and I look downstairs and have this amazing view of the town, I am glad that I did not give in before I reached the top. Regarding my health I also try to stay strong no matter what comes. 4 x in the hospital so far this year. I was really proud of myself when a fellow patient recognized me downtown last Saturday and said “Hi, are you still walking the stairs?”. I walk so much. when I was sorting out stuff that I no longer need I found a pant which used to fit me 2 years ago. Gee, I need to find somebody who takes a picture. My waistline has shrunk pretty good. Life is great and I keep climbing. Thank you, your words come at a time to remind me of what I already know. Reminders like these make it easier to reset ourselves! Funny I often feel that when I do intense workout and sometimes I get bored with it because it become a routine for me. But then I realized that it is after enduring the torture, you become proud of yourself that you did finish it and feel great about it. But in work, I think I haven’t found that passion yet and that’s what I want to discover. Anyway thanks for the enlightenment. Will keep on searching for it but please advise on how to discover your passion? Greetings from costa rica!! Amazing vid, amazing piece of advise!! I love the concept of finding the torture you can endure, it really makes sense because when you love what u do, any adversity is just part of the game…I’ m still on the process of discoverying my path, and I want to thank you for being the inpiration I needed to start the journey of regaining self confidence and taking control over my life!! Blessings!! I kinda feel this way about painting because once I start a canvas, I can’t rest until it’s complete. It’s hard work, takes hours of concentration, it makes me tired and achy but I feel like it’s something that I HAVE to do, it’s my passion and it’s who I am, it’s a way of being creative and also investing in myself. I love it so much that I have been offered a university place this coming September to study Fine Art, at the age of 41 having never received any previous training. It’s scary and exciting all rolled into one. I also wanted to take this opportunity to say thank you. I’ve had a rough few years relationship wise but it’s only recently, since reading you book and watching you blogs that I have really become to value myself as a beautiful woman and I have stopped allowing the kinds of men into my life that weren’t good for me. My confidence and self worth have increased as a consequence. I’m not entirely sure if I’m ready to let the right kind of man into my life just yet but I am certainly enjoying getting to know myself again. So once again, a massive thank you. Looking forward to the next installment, as ever. P.S. I box too and absolutely love it!! Thank you Matthew for yet another great piece of advice. It’s strrange how whenever I start to question something in my life and wonder if I’m doing the right thing an email shows up from you and its always just what I need to hear. You helped give me the courage to follow my dreams and do the things I have always wanted to do. Youre right it doesn’t get easier but it is worth every second of the hard work. Thank you for your wonderful videos and posts. They keep me going. Right on! Too many people want the magic pill or wand that will make everything perfect & easy. But perfect is boring. Easy makes us lazy and complacent. Life can be that much sweeter by the hardships we endure. How would we know how wonderful it is to be free of pain, without the pain in the first place? I always enjoy your insights, Matt. Thank you! Why is it I feel like dating is torture? But not a good torture? Things don’t get easier, but you become better. I like this. :-) This isn’t dissimilar to some thoughts I had when making the decision to pursue filmmaking instead of staying along a more traditional career path. It’s one of those decisions I think about a lot, because it’s really NOT a straightforward path, and so I have to renew it over and over. I think it relates to the quote you hear about doing something you love and never having to work a day in your life. It’s not that you DON’T have to work or do difficult things, but what you’re doing isn’t “work” in that drudgery, hating-one’s-life sense. I also think Seinfeld is right–and I think that’s one reason his comedy and observations about life are so funny, because he says things that we recognize on some level as true. Lastly, I like the idea of our “Sunday gatherings,” too. “See” you next Sunday! Thank you so much for this video Matthew! You’ve made me feel so much better about the choices I’ve made over the last couple of years. I chose to work a lot of hours in my part time job while I was at university, pouring my soul into my job so that I got promotions and huge amounts of extra responsibility, to the point where I was the only person in my role allowed to be part time because I was more valuable part time to my company than the full time employees. That combined with uni meant that I had very little free time to spend with people. But it paid off! Now that I’ve finished my degree, I will use it in a creative way to move forward with my career in this company. Even with uni out of the way, it will never get easy– now I have so many opportunities and I intend to exercise as many as possible. I am excited to move forward, even though things will be difficult. I am happier now because I know I have purpose, though the workload will actually increase. It’s good to know that life doesn’t get easier for anyone, it means I’m doing it right. Wow, congratulations for all the things you have accomplished! As you have written, you totally deserved it. You are a really hard work women. I was one year in the situation you have describe and it almost made me insane so little hours with out sleep. For me it was not woth it at all but I´m glad to hear that it´s not your case. Brilliant, Matthew. Lots of people are gonna fight you on this one! Maybe I’m wrong. But whenever I talk about something like this, everyone has this initial sense of wanting to say, “no! You’re wrong!” But thanks for this. Everyone needs to hear it. Keep preachin’ brotha. Yeh people often misunderstand the point of this type of lesson, thinking that it’s not true (and depressing) to think that things don’t get easier. They often associate it with not being relaxed or not enjoying life. I actually look at it the opposite way. When you are doing hard things you love you feel completely at peace. Not only are you enjoying life but you’re getting the sense of fulfilment and satisfaction that can only come from doing hard things. I really liked that one – getting peace from doing hard things. I never thought about it in that way, but that’s so true! Hi Matthew im sorry that ive post a comment the few times i was on vacation. And i really appreciate that i can because nothing is for granted in life. And i think not life gets any easier you can make it so hard as you want. But if you stay positife in the things you wanf achieve it gonna be alright. I know life is sometimes hard and onfair at sometimes. Because ive been bullied my grandpa is past away and is stolen into our house . And my parents gonna devorce maybe. But i always be strong wathever happens. Have a great day. Stay yourself always. Hey Thirza, thanks for being the first to comment! Love your attitude in staying strong no matter what. That’s what really matters. Thanks for being a regular follower of my blog, it means a lot.